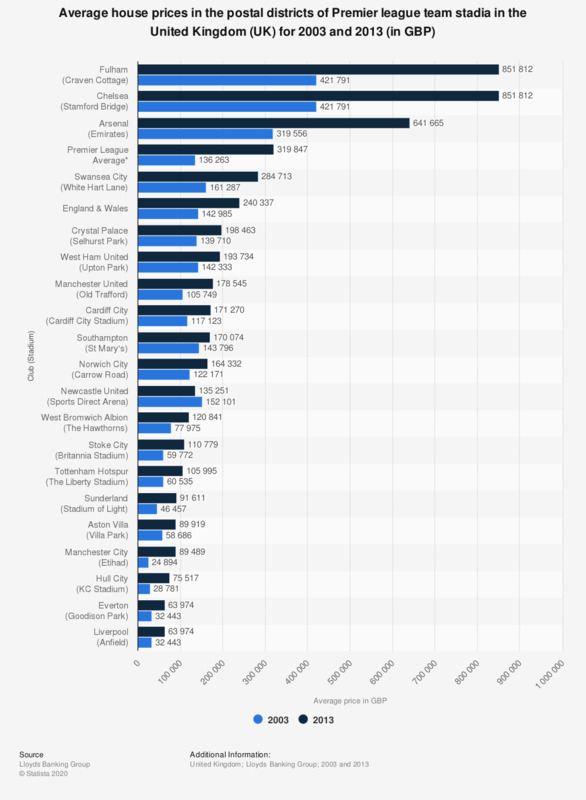 This statistic shows the average house prices in the postal districts for the 20 Premier league team stadia in England and Wales for the 2013/14 season. In the postal district of Manchester City Etihad stadium, the average house price in 2013 was 89,489 British pounds (GBP) in comparison with an average price of 24,894 GBP in 2003. * Average of the 18 postal districts encompassing the 20 Premier League teams weighted by the number of property sales.